Mini loves playdough but I am not gonna lie, momma loves to get her hands into this one too and inhale the yummy cappuccino aroma deeply. I love to use playdough in our homeschool for learning as well as throughout the day for playtime- it builds fine motor skills, encourages little imaginations, provides a great base for open ended play, and gives them an opportunity for sensory experiences. It works wonders at getting Mini to focus. 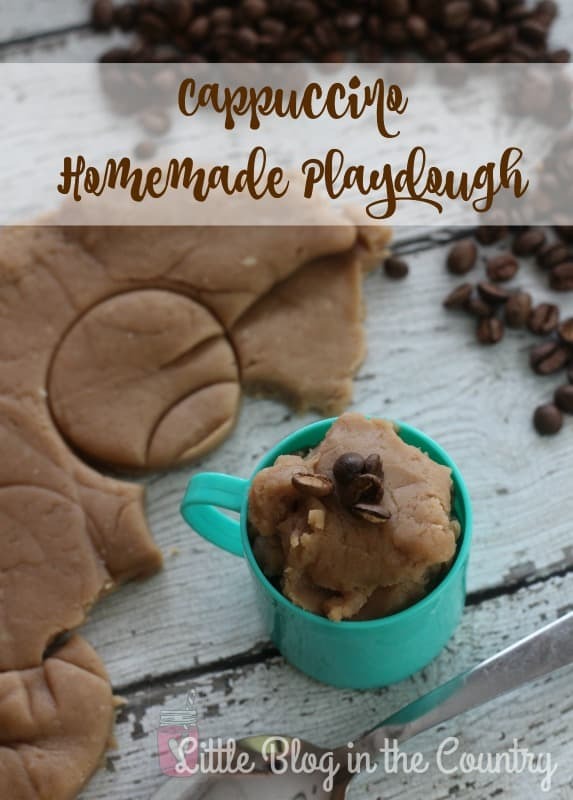 This Cappuccino Homemade Playdough is a great morning pick me up or it makes for a wonderful busy activity while you are trying to get dinner on the table as well! 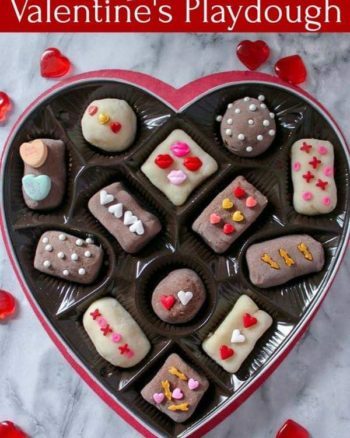 Be sure to check out our other Playdough Recipes too. 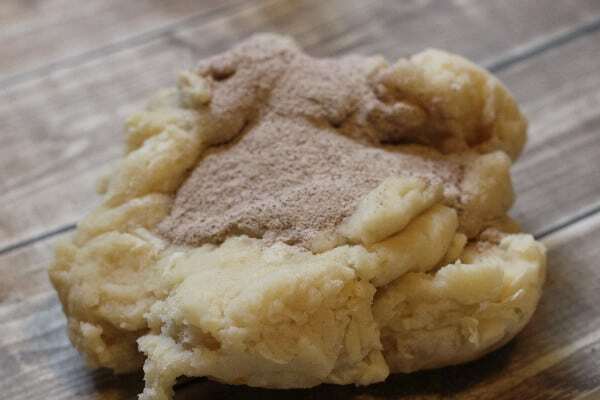 Place all ingredients except for cappuccino mix in a large pot over medium heat, stir frequently until mixture begins to stick together and clings to spoon while stirring. Remove dough from heat and turn out onto a floured counter or other hard surface, allow to cool to touch. Knead in cappuccino mixture until well combined. Once dough is cooled completely it is ready for playtime. I like to set out little coffee cups, spoons, rolling pins, and a handful of coffee beans for a great dramatic play set up. 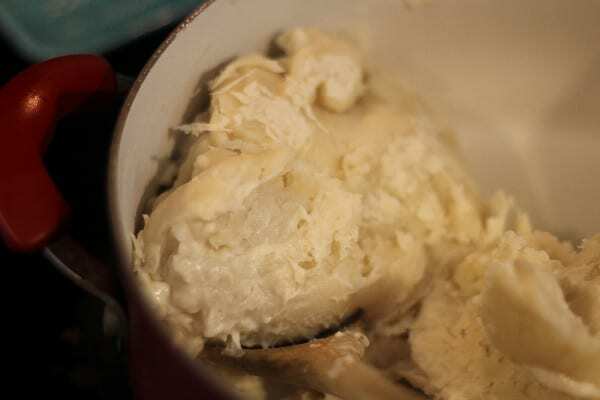 Store playdough in an airtight container and it will keep for several months. 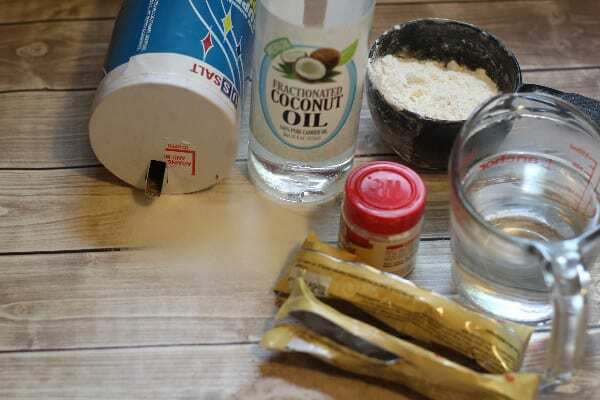 If you find that it begins to dry up a bit simply work in a bit of oil until texture returns . 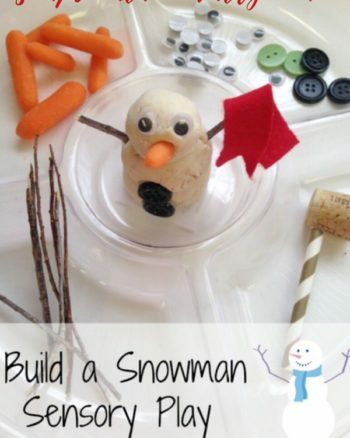 Want to practice letters or numbers in a fun way? have them use the dough to form letters. Spelling word practice? Stamp out practice words with alpha stamps or plastic alpha magnet. 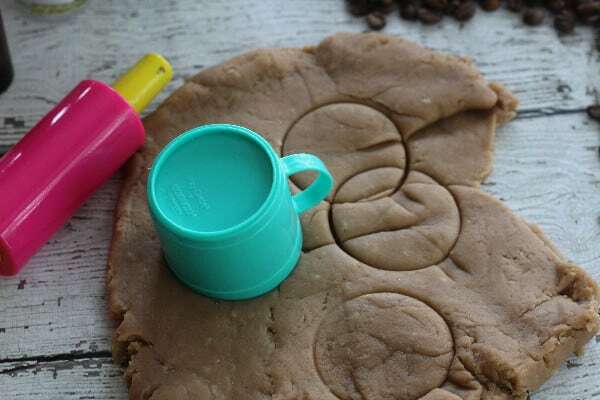 Set this coffee scented playdough up in the play kitchen for some fun dramatic play. Make mine a double, extra whipped cream!